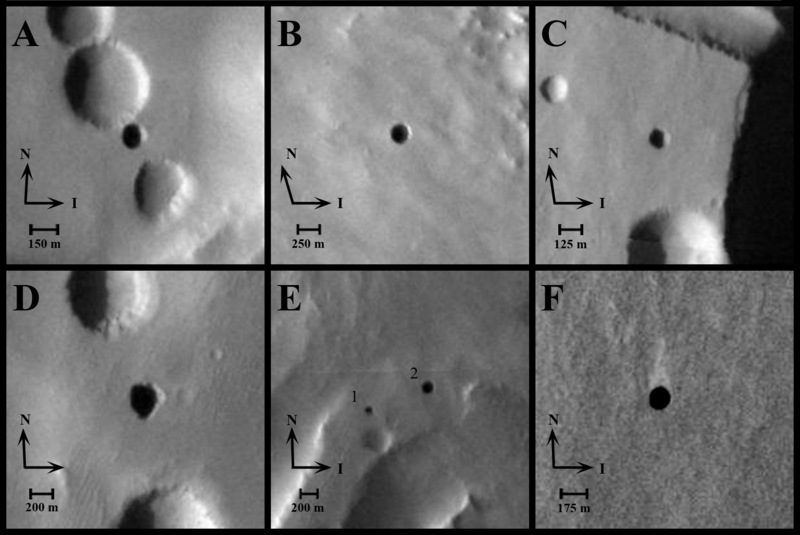 Seven very dark holes on the north slope of a Martian volcano have been proposed as possible cave skylights, based on day-night temperature patterns suggesting they are openings to subsurface spaces. 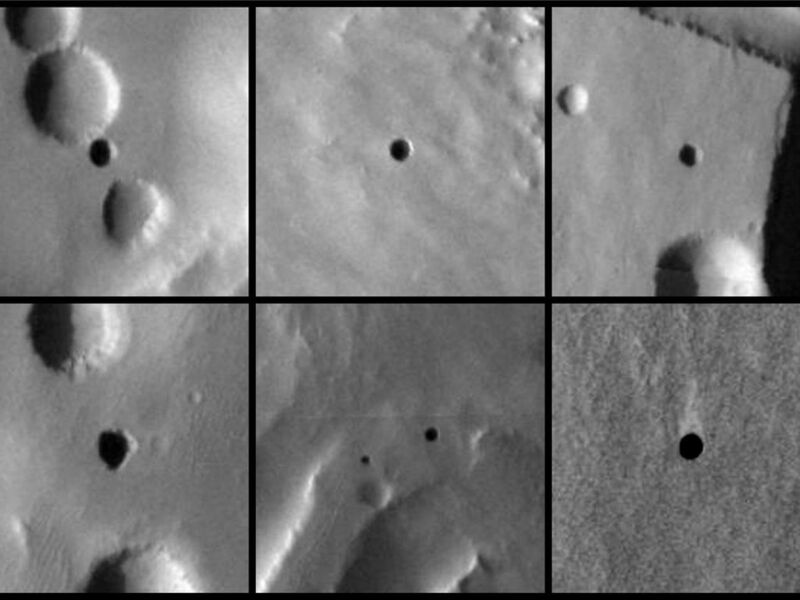 These six excerpts of images taken in visible-wavelength light by the Thermal Emission Imaging System camera on NASA's Mars Odyssey orbiter show the seven openings. Solar illumination comes from the left in each frame. The volcano is Arsia Mons, at 9 degrees south latitude, 239 degrees east longitude. The features have been given informal names to aid comparative discussion (see figure 1). 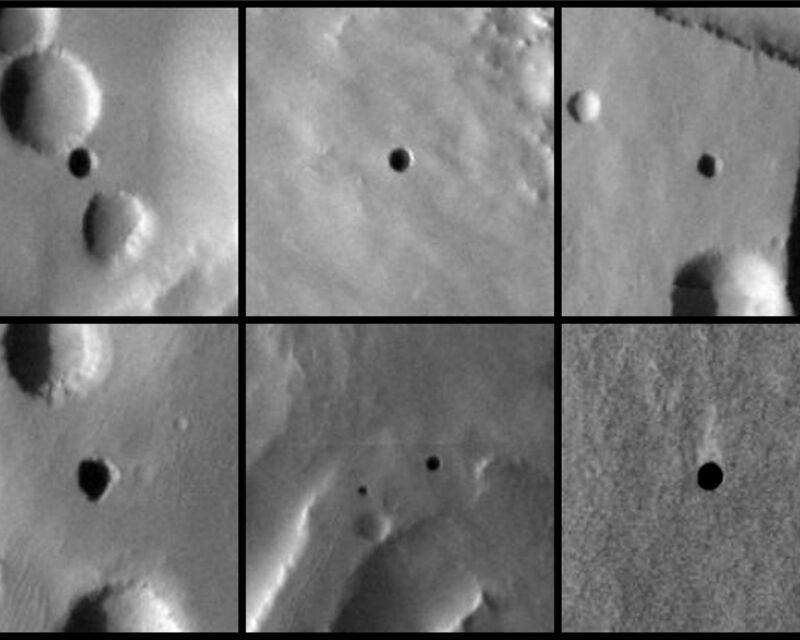 They range in diameter from about 100 meters (328 feet) to about 225 meters (738 feet). 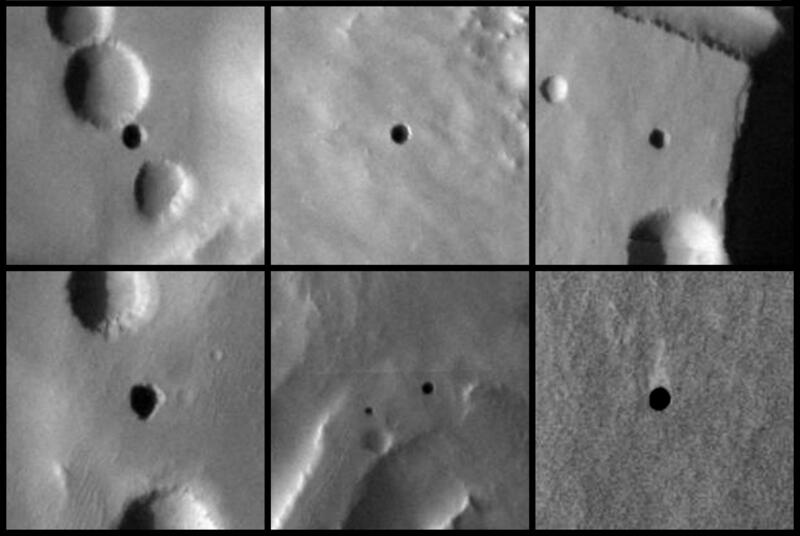 The candidate cave skylights are (A) "Dena," (B) "Chloe," (C) "Wendy," (D) "Annie," (E) "Abby" (left) and "Nikki," and (F) "Jeanne." Arrows signify north and the direction of illumination. Mars Odyssey is managed by NASA's Jet Propulsion Laboratory, a division of the California Institute of Technology, Pasadena, for NASA's Science Mission Directorate, Washington. Lockheed Martin Space Systems, Denver, is the prime contractor for the project and built the spacecraft. 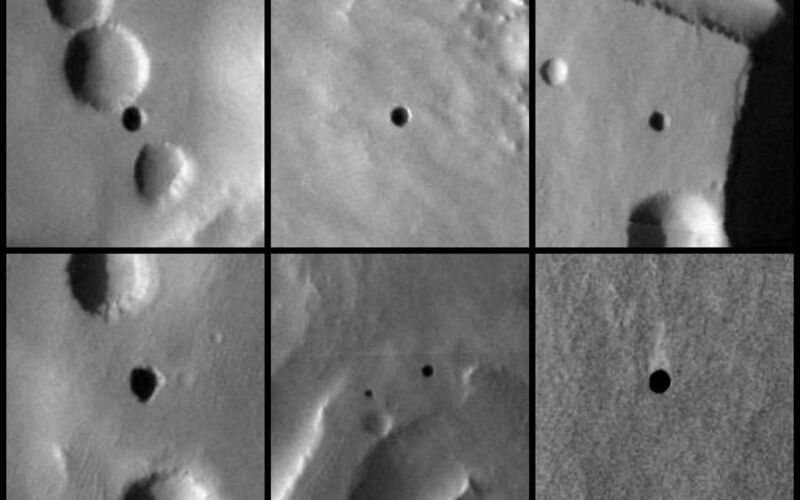 The orbiter's Thermal Emission Imaging System was developed by Arizona State University, Tempe, in collaboration with Raytheon Santa Barbara Remote Sensing, Santa Barbara, Calif., and is operated by Arizona State University.